I love back to school time, not for my kids going to back to school (although, some days I get excited about that, I can't lie!) but for the school shopping. I love, love, love shopping for school clothes and supplies! I have always been a school supply junkie and it makes no difference that they are not for me, I enjoy it just as much with the kids! 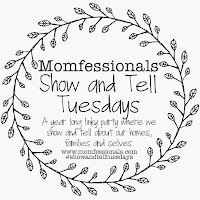 So when I saw that today's show and tell with Andrea at Momfessionals was, Back to School traditions, I knew I had to join!! My kiddos don't go back to school for a month, but we have already started our traditions! My babysitter is heading to college so we lose her towards the end of August, so we started early this year! Every year I take the kids individually for a day of school shopping! I get a sitter for the other child and we spend a day together shopping until we drop! Friday I went with Olivia and yesterday I went with Owen! I had such a great time both days! It is a day all about them. We go check out stores they want to go to, we go out to lunch wherever they want to go and we do whatever they want to do! This is such a fun tradition! then we headed off to a few more stores outside of the mall and ended the day at Sweet Frog for some frozen yogurt! We had such a fun day! I love to shop with Olivia! I love the one on one time and to see her maturity when she talks about her likes and dislikes, and the conversations we have! One thing that made me sad was that this is probably the last year we shop in the kids section of some of the stores and we bought women's shoes...What?? How is this possible?? Yesterday, I took Owen. This was our first official time going for a whole day because he is going to Kindergarten this year. It is a big deal! We had a blast! Owen is so sure of himself and wants what he wants! Our first stop, Lands End in Sears, he had to have a tie! I asked him, when will you wear a tie and he preceded to show me all these shirts he would wear a tie with and you know what? I think he will! He is the trendiest Kindergartner around! We went to 3 different shoe stores to find the exact shoes he wanted. All black shoes that didn't have ties so he could put them on himself. Finally we found some all black converse that you do not have to tie! He was so excited! We ended our day with a frozen yogurt treat and headed home! I will do some returns and head out for some staples on my own, but I love having that time with both my kiddos before they head off to school! I get to see what they like, we get lots of time to chat and we get to have some one on one fun together and I cherish every minute of it! I got both of them thick cozy zip up hooded sweatshirts to use as their fall jackets. Both of my kiddos prefer to throw on a sweatshirt rather than a jacket so these work for them! You can see Olivia's here and Owen's here. After this we relax and enjoy the rest of the summer. We will head out to get supplies once we get the list of needs for each of their classes. Finally our next tradition doesn't happen until the night before school starts, when they get to choose what they want for breakfast and dinner on the first day! This year the kindergartners start a few days after the rest of the school so this will still work, but after this year when they start on the same day, I will have to have one choose dinner the night before and one choose the night of! Gotta make things fair or else I will hear about it! And of course, we always have a special treat when they come home on the first day! You can read about last year here. I can't wait to read everyone else's traditions! 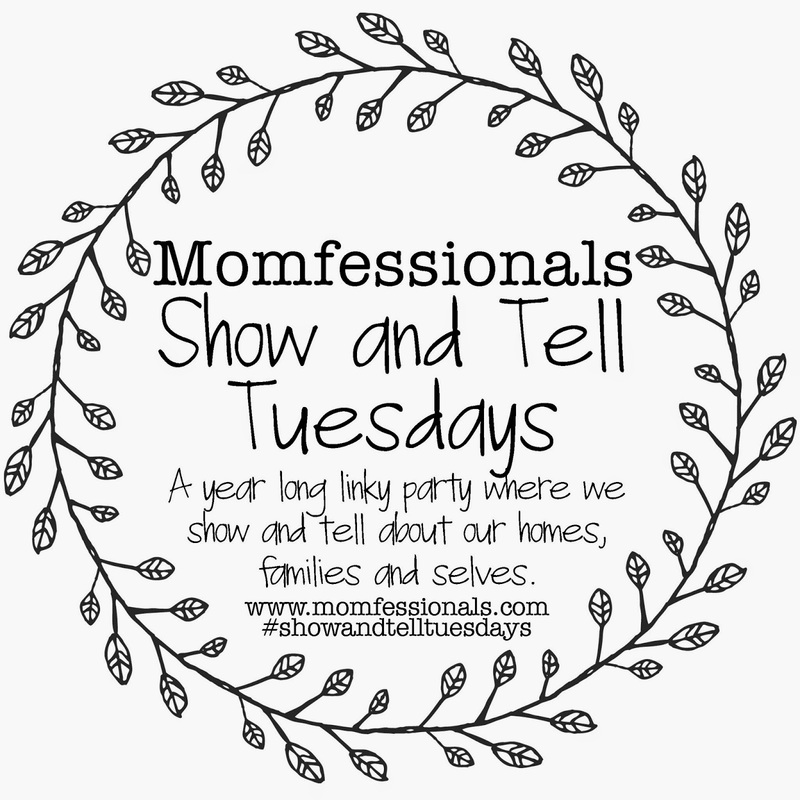 I love new ideas to make things special for my kiddos! Loved seeing the "color" difference in clothes between your two kiddos! Whether we're ready or not, ours starts in two weeks! Yikes! Thanks for linking up! What a great tradition to take each of them clothes shopping on their own! I'm sure they will remember and appreciate that one on one time with you as they grow up! Loved your traditions! We take each one shopping too, it's so fun to spend that time with them. And I need to do that lunch process, awesome! Isn't that amazing??!! I already went to buy the bins at the dollar store! I loved reading about all of your BTS traditions! I have a little guy named Owen too!! I'm also a school supply junkie ;) have a great day! How fun! School shopping was always my favorite kind of shopping as a kid. What fun traditions! We also still have over a month left thankfully :-) My son LOVES the "black on black" converse as he calls them. They are super cute! He doesn't like to take them off!! Sounds like so much fun for the kids and that's the perfect way to get your kids excited for school!